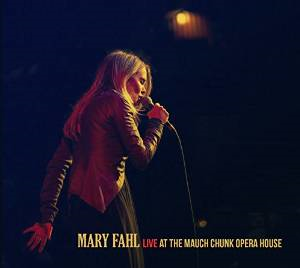 Be prepared to be blown away with this spectacular two disc l ive release by the absolutely one of a kind Mary Fahl (formerly of October Project). With full back up band, you are gifted with a generous selection of her solo works, as well as powerful classics from October Project. You’ll never forget this gem of a release. Musicians are Mary Fahl acoustic guitar and vocals, John Lissauer piano, Bill DiCosimo keyboards, Edgar Pagan bass, Josh Dekaney drums and percussion, and Mark Doyle music direction, acoustic and electric guitars, piano. Mary is in the producer seat on this. If you’re longing to hear those haunting October Project hits, disc one starts off with “Deep As You Go” and through the concert you also get “Return to me”, “Falling Farther In”, “Bury My Lovely”, and “Going Home”. Included are some unexpected tunes like “Us And Them/Brain Damage/Eclipse” off her brilliant “From the Dark Side.of the Moon”. Twenty-two wonderful songs are performed, each one with exquisite execution. Gorgeous sound quality, heavenly vocals, and unreal atmosphere on both the production and audience (important feature is audience noise is kept low, but in truth I am certain the whole crowd was just too stunned that they were often held speechless – I know I was as I listened to the two discs on my fine stereo system). This is clearly the finest live release these ears have heard in the year 2014. Besides the entire recording/concert being incredible, we’re treated to some different arrangements of songs and in a couple of cases, brand new bonuses. A good example is the three song Pink Floyd cover set, which are surreal and captivating. Mary has a marvelous sense of restraint and masterful control with these world famous tunes. And it works beyond belief!! If anyone could ask for more, I would have no clue what it would be. 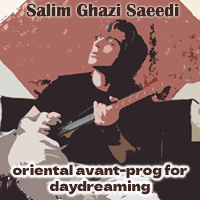 A cover of “Both Sides Now” (Joni Mitchell) gives a classic folk pop inclusion, the song “Ben Aindi Habibi” tosses in a eastern tinge and “Nessun Dorma” gives more mystical looks. All contribute to make the perfect flow of the concert so wonderful. I actually felt tears coming a few times and listening a second and third round still kept my emotions raw and ripe with amazement. A wonderous concert experience which makes you feel like you are there at the actual event.Totally recommended! Previous story Let Furyon penetrate These Four Walls of your soul!